If you’re searching for a magnetic charger for your iPhone or Android phone, you’ve probably come across many different models. Shopping for one of these products can sometimes end up becoming a hassle. This article will highlight 10 of the best magnetic chargers on the market that you should consider. What is a Magnetic Phone Charger? How Does it Work? What Features Should I Look for in One? 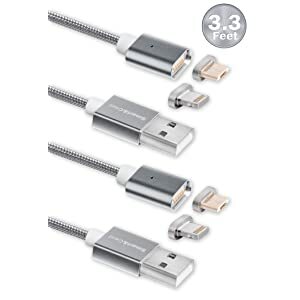 What are the Differences Between Micro USB, Lightning, and Type-C Attachments? What are the Benefits of a Magnetic Phone Charger? 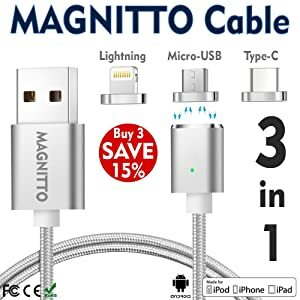 This is a unique device that uses a magnet to help connect a charging cable to your phone. You can take the magnet that comes with one of these products and put it into your phone’s charging port. This magnet will stay securely in the port. You can then move the charging cable under the magnet which it will then attach itself to. When your phone is done charging, you can simply remove the cord while the magnet stays in your phone. Besides a strong magnet, there are a few features you should look for in one of these phone chargers. One is a long cord. Chargers that don’t feature a long cord can sometimes end up being a hassle to use. It can make it difficult for you to charge your phone because the cord length is too short. Be sure to look for a cord that is reasonably long so you can easily charge your devices. Also, be sure to check to make sure the cord is durable. Many products sometimes come with cords that can’t withstand daily wear and tear easily. Look for a cord that is strong and made of durable materials so you don’t end up having to buy another charging cord in the near future. Another feature to look for is different attachment types. These chargers are created to work with certain types of phones, such as iPhone 7’s. However, sometimes some chargers aren’t compatible with certain model types. It’s good to have a charger that comes with different attachments so you can easily use it with a variety of phone models. Otherwise, you might end up being stuck with a charger that doesn’t quite work well with your phone. You should also look for an LED light indicator. Many models often come with one, but you should still check to make sure. This indicator will be located on the connection cable piece and will signal when your phone is charging and when it’s done doing so. This feature can help keep you up to date on your phone’s current charging status and help to prevent it from overheating. As you’ll find with many of the products in our review, they sometimes come with attachments. These attachments work to help the charger better connect to your phone type. The micro USB works the same as a regular USB except it’s a smaller version of it. The Lightning attachment is designed specifically for Apple products. You’d want to use this if you have iPhones or tablets from this company. Type-C attachments work the same as USB ones but they have a different design. This design allows them to be flipped. This means you don’t have to worry about which way to properly put the connector into your phone. You can just slide it in one way and it will stay. Yes, these chargers are safe to use. However, you need to make sure to research the type of charger you’re interested in so you find the one that is right for your phone. If you use a charger that has the wrong wattage or amp amount for your phone model, it could cause some issues such overheating. Besides this, you still just want to keep an eye on it to prevent possible overheating. Overheating can occur easily when a phone is charging, regardless if it’s this type of charger or not. This can cause major damage to your phone’s battery because it’s receiving too many charges and can end up causing your phone’s battery lifespan to deteriorate quickly What Damage Can Be Done? Battery. Overall, these products are safe to use. Just be sure to check the charger occasionally when it’s running. These products come with the main benefit of making it easier for you to charge your phone. Unlike the usual chargers, where you need to use both hands to apply the charging tip into the phone’s charging port, this type can be used with one hand. 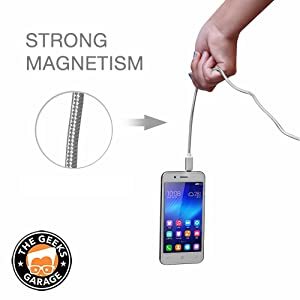 This makes it an ideal product to use if you often drive and need to charge your phone and for those who sometimes have trouble with the typical way of charging a phone. Magnetic phone chargers also come with a special flip USB connector. This makes it convenient for you to charge or transfer data with it. The FLOVEME Magnetic Phone Chargers are an excellent way to help you keep your devices fully charged no matter where you are. 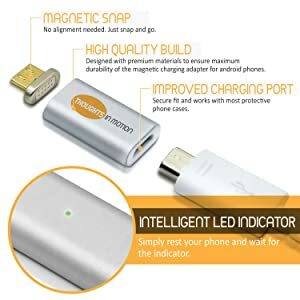 Instead of pushing it into your phone like many other chargers, this magnetic charger instead uses magnetic connections to help secure it to your phone. This makes things much easier when you go to charge your device. To use this device, you simply plug a small magnet into the charging dock and then you just attach the cord to this magnet. To attach the cord to your phone, you need to pay attention to the different arrows printed on it. The side with the arrow on it is the correct way to insert it while the side without an arrow is not. It’s important to pay attention to this difference as inserting the wrong side could mean that your device is not being properly charged. This charger measures one meter long, so you’ll be able to move around a bit with your device without being restrained in one spot while it’s charging. The cord, made of a mixture of nylon and aluminum alloy, is also very strong so it can withstand heavy-duty use without issues. This product comes in many different color choices, like black, silver, and gold so you have some different design options you can choose from. This product also is very affordable so you won’t have to worry about investing a lot of money into buying one. In addition to its durable design, it also can be used with many different phone types. You can use it for both iPhone and Samsung devices. The charger has a Type C, Apple, and Micro charging design so it can easily fit into the charging dock for them. These plugs can also serve as a dust protector so these particles don’t get into the charger and cause problems for your phone. This is an iPhone magnetic charger that has a flip side feature. One side will charge your phone quickly while the other side will transfer data. It has a cable that contains an 8 pin authorization chip feature. There is a 2.4A output USB port with this phone charger. This product’s cord is made of a TPE covering and contains copper wiring. There is also an LED charging light indicator feature with this product. This product features a detachable connector. This helps to make using this charger easier. While it is easy to detach, it is also easy to attach. You can easily reattach the charger to the connector with little effort. In fact, you can do so with only one hand. This makes it much easier to use if you need to charge your phone while driving. This product comes with overcharge and high temperature protection. This will help to prevent your phone from overcharging and overheating damages. It can charge quickly so you don’t need to wait a few hours for a full charge. Sometimes the LED charging light indicator doesn’t work as well as it should. It can occasionally leave the charging light on even when your device has been fully charged. The magnet can be a little weak. This could make it not fully connect to your device which might end up making it not charge your device properly. This magnetic Android charger is created with a silver design. It features an LED light display which you can use to easily track the current charging status. The charger’s cord is 3.3 ft. long and is made of nylon materials. The tip of the charger is made of a strong metal. This product features a removable connector. This helps to not only make it easy to use, but this removable feature also can be used as an anti-dust plug. You can keep the connector in when the phone is not charging to help keep dust out of the charging port which could hinder your charger’s ability to work properly. The magnet of this phone charger is very strong. You won’t have to worry about whether or not it will stay attached to your phone. This product comes with a plastic pry plank. This will help you to easily remove the charger’s magnet from your phone. This product can sometimes end up overheating. This might end up damaging your phone if you don’t closely watch it while it’s being charged. If you don’t check to make sure that this charger is fully secure to your device, it might not fully charge it. This charger is one that can be used with iPhone and Android models, as well as Samsung products. It features a silver design and an LED charging light indicator. It comes with a 2.0A USB cord. This cord is made with a braided design and is 3.9 ft. long. This product comes with a removable connector. This removable connector is easy to use. When you are not charging your phone, you can use this connector as an anti-dust plug. This will help to prevent dust from collecting in your phone. The braid design of the cord helps to make it durable. This design helps to make the cord very strong and prevent it from being easily damaged. The USB cord is made with a high speed feature. You’ll be able to quickly transfer data with it. It’s a simple phone charger to use. The magnet is not as strong as it probably should be. 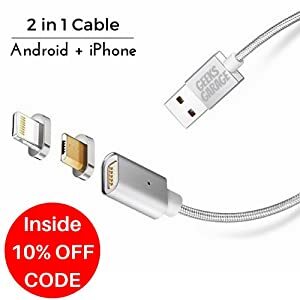 Because of this, it might be more difficult for it to stay connected to your phone and charge it. It can overheat sometimes. You’ll have to watch carefully when it’s charging your phone or it could end up damaging it. The LED light can sometimes flicker. This can make it a little difficult to know whether it’s fully charging your device or not. This magnetic iPhone charger and magnetic Android charger is created with an aluminum alloy casing. It also features a silver charging tip. This charger has a smart chip in it which helps it to reach 2.4A charging speeds. It also has a 480 Mbps data transfer speed. Besides this, there is an LED light charger indicator to help you keep track of your phone’s charging status. The cord of this charger measures 3.3 ft. long. The cord is anti-tangle. This will help to prevent it from becoming damaged and difficult to use due to possible tangles. This product comes with 3 different tip adaptors which can be used with various phone models. These tips are type-c, Lighting, and micro USB ones. It is built with a strong magnet. This will help to ensure that the charger stays in your phone securely. However, even though the magnet is strong, it isn’t difficult to use. You can easily attach and detach it. It comes with overcharge and short-circuit protection. With this protection you don’t have to worry about your phone overheating or becoming damaged. While the magnet of this charger is strong, it is very small. If it ends up falling out, it could be difficult to find. You might end up having to invest in another one if it ends up becoming lost. This charger for Androids is made with an aluminum alloy metal casing. It comes with a micro magnetic USB charger. This charger has a one side feature built into it. One side of the USB will charge your device while the other side can be used to transfer data. The full length of its cord measures 3.3 ft. long. It is an affordable option. You won’t break the bank by investing in one. It comes with different color choices. Many other models often just come with one color choice. With this model though, you have the ability to choose between many interesting colors. This product is easy to use. You can easily snap it onto your phone to charge it. 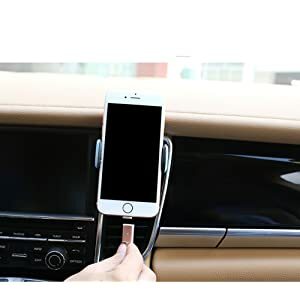 This makes it a good choice for those who need to charge their phone while driving or for those who sometimes have difficulty attaching the charger to their device. This charger is made with durable materials. This will help to prevent it from being damaged easily. The magnet of this charger isn’t very strong. This might make it a little difficult for it to securely attach itself to your device. It can take a while for this device to charge. If you usually need to have a very fast charge done, this might not be the best choice. This charger for Androids and iPhones is made with an aluminum alloy metal casing. It features a 3.3 ft. long cord that is nylon braided. This charger has a 2-mode feature. One side of the charger is used to charge your device while you can use the other side to transfer data. This product comes in a few color choices. This gives you the ability to choose a color you’d like to have rather than having to settle for the manufacturer’s color choice. Besides having a 3.3 ft. long cord, this charger also comes with the option of a 5 ft. long cord. The snap on feature of this product is easy. 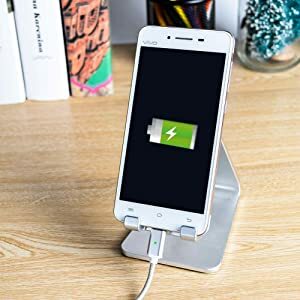 You just have to connect the magnet to your phone and then move the charging cord near it. You can do this with one hand which makes it ideal to use if you are driving and need to charge your phone. It is built with a super magnet. This magnet is very strong and will work to secure itself to the charging cord quickly so your phone can be charged. This charger does tend to be a little more expensive than other models. The magnet and cord can sometimes end up sticking together. This might make it difficult for you to remove the cord from your phone. This iPhone and Android magnetic charger has a micro USB feature. This USB will work to both charge and transfer data depending on the side of it that you use. This charger is made with an aluminum alloy shell and features a 3.3 ft. long nylon braided cord. There is also an indicator charging light that you can use to monitor your phone’s charging status. The braided cord is created to be tangle free. This will help to prevent the cord from being worn out too much which could expose its wires and cause it to malfunction. It comes with a special tool that you can use to remove the magnet from your phone with. The charging attachment is both shock resistant and rust proof. It has the ability to charge your phone in less than 2 hours. It contains a Power Off Protection feature. This feature will work to detect if your phone is starting to get too hot while charging and will automatically turn itself off if it is. This will help to prevent overheating and overcharging your phone. The magnet can sometimes be a little weak. This might make it difficult for it to work with certain phone types. Sometimes the Android attachment with this product doesn’t fully attach itself well to the phone. You’ll have to make sure it is attached correctly or it might end up not charging your device. This phone charger works well with iPhone models, such as the iPhone 7. You can flip the tip attachment to either work to charge your phone or to transfer data. Its cable is double nylon braided and comes with an aluminum foil shielding. Inside the cable you’ll find strong copper wires which will work to charge your device. This product also has an LED charging light indicator. The connector is made of an aluminum heat resistant material. This will help to prevent overheating from occurring. It comes with 3 different tip attachments: Lighting, micro USB, and type-c. You can use each one depending on the type of phone model you have. This will help to ensure that it will attach properly to your phone so it can charge it. This product comes with overcharge and overheating protection features. These features will help to prevent the charger from possibly damaging your phone while it is at work. It works very quickly to charge your devices. The magnet can sometimes be a little weak. The cable might not be long enough for some people. This might make it a little difficult to use in certain situations. Its LED light could also be a little too bright for some people. It emits a very strong glow. This product is good to use with Android devices. It is made of an aluminum alloy casing and features a neodymium magnet. It also comes with a micro USB plug. This micro USB plug uses a nickel plated micro USB connector so it can attach to your phone. It is very easy to attach this product’s magnet and cable to your phone. The magnet will easily secure itself into your phone and is strong enough to hold the cable without it falling off. It comes with an LED charging light indicator. This charger contains a fast charge feature. This will work to quickly charge your phone so you don’t have to wait hours for it to do so. You don’t have to use tools to apply or remove the magnet. This can make it ideal for those who want a simple model without many hassles. The connector can be used as a dust plug. This will help to prevent dust from collecting in your phone. It doesn’t come with a cable. You’ll have to invest in one before you’re able to use this product. While it comes with a fast charge feature you have to be very careful with how you use it. You need to make sure that the LED light on the connector is facing upwards or else the fast charging feature won’t work. This charger comes with a special flip side connector. You can use one side to charge your phone and the other side to transfer data. This charger has the ability to transfer data at a speed of 480 Mbps. 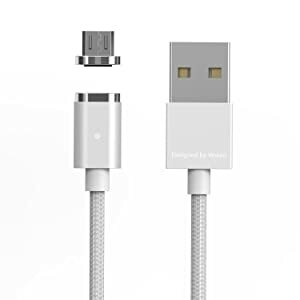 This product features a micro USB and a nylon braided cable. 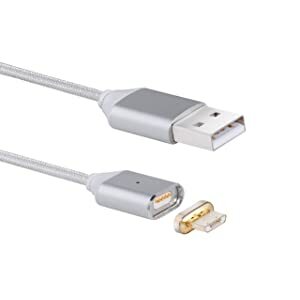 This cable measures 3.3 ft. long and has copper wires in it to help charge your phone quickly. There is also an LED indicator light built into this charger. 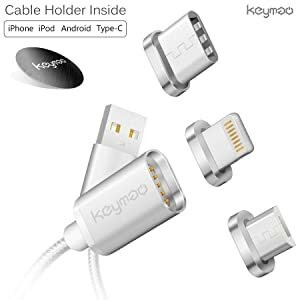 The connector of this product can be used as a dust plug to help prevent dust from collecting in your phone. It is a strong product. The materials it is made out of are durable so they will withstand a lot of wear and tear. The plug is both shockproof and rust resistant. You won’t have to worry about electrical injuries occurring with it or having to invest in a new charger due to it corroding. It comes with a Power Off Protection feature. This will work to detect when your phone is starting to overheat and will automatically shut itself off. This feature can help prevent damages from occurring to your phone. Sometimes the magnet might not hold the cable very securely. You’ll have to occasionally check to make sure they are still connected. It does take a little longer for this model to charge. The Samsung connector that comes with this product doesn’t work very well sometimes. This article highlighted 10 of the best magnetic USB phone chargers on the market. While these are all great models, the best product out of these 10 choices is the Keymao Charger. This is both the best magnetic charger for Androids and the best magnetic iPhone charger. Besides being able to work with both phone model types, it also comes with many useful features. It has a reasonably long cord and comes with 3 connector attachments. This will help you to better connect any phone model you have to this charger. This product also is safe to use. It incorporates great safety features like overcharge and overheating protection to help prevent damages occurring to your phone. If you’re on the search for one of these chargers, definitely consider this model.